Goulais River, Ontario – The Goulais River Community Days at Captain Tilleys Park will take place this year July 13th to 15th. 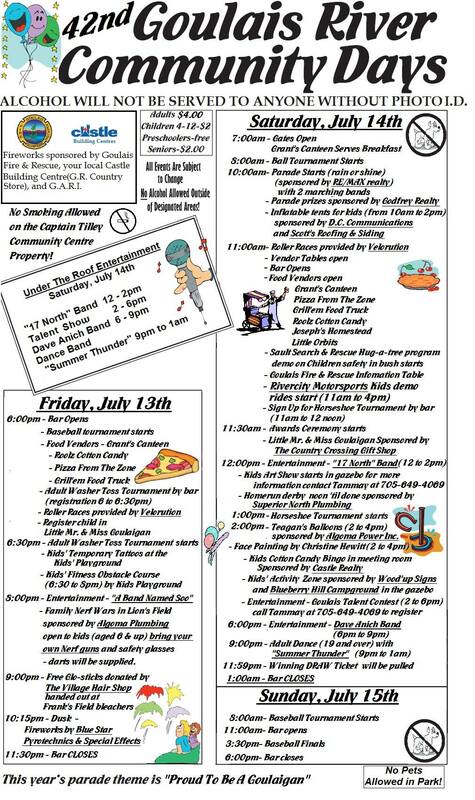 The events kick off on Friday with the annual baseball tournament, food vendors will be set up at 6pm and adult and kids games in the evening. A Band Named Soo takes the stage at 8pm at the arena and fireworks at dusk. Saturday starts with a parade at 10am, games for all ages thru out the day and baseball during the day as well. Under the roof entertainment includes bands – 17 North, Dave Anich Band and Summer Thunder to close out the night. Admission for Community Days is $2 for kids 4-12, kids 3 and under are free, seniors are $2 and adults are $4. 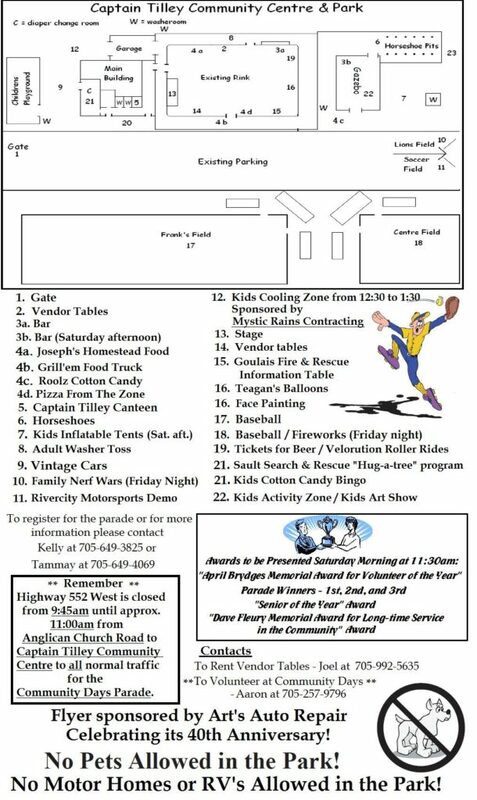 If you want to be a vendor please contact Joel at 992-5635 or if you want to volunteer contact Aaron at 257-9796.